This is our new product for our Daz 3D store: Candie Hair for Genesis 8 Female(s) is a long space buns hair. It comes with style and movement morphs that allow you to shape the buns, blow it easily with wind, change its length, and many other things. The material presets included can dye it with a total of 42 different tones, from classic ones to sophisticated two tones. This is our new product for our Daz3D store: Whimsical Soul Mix And Match Expressions For Karyssa 8 And Genesis 8 Female is a must have expression pack for Karyssa 8 and Genesis 8 Female(s), that consists in expressions organized in three folders (Full Face, Upper Face, and Lower Face), and you also have pose control ERC dials to apply each full face expression. 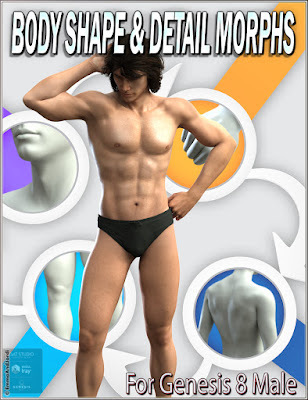 This is our new product for our Daz 3D store: EJ Body Shape And Detail Morphs for Genesis 8 Male(s) is a pack of 119 morphs, and 7 typical shapes of the male body. You can use them to add natural and detailed features to your characters, or to build fresh new bodies from scratch just with this pack! 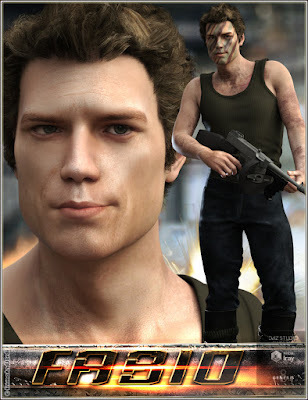 A must have for Genesis 8 Male!